When buying or selling a house, you may have encountered the term ‘indemnity insurance’, but not fully understand what it is, or if you need it. Our blog post looks at what indemnity insurance is, the common policies, how much it costs and other useful information to help you figure out if it can help your house sale run smoothly. 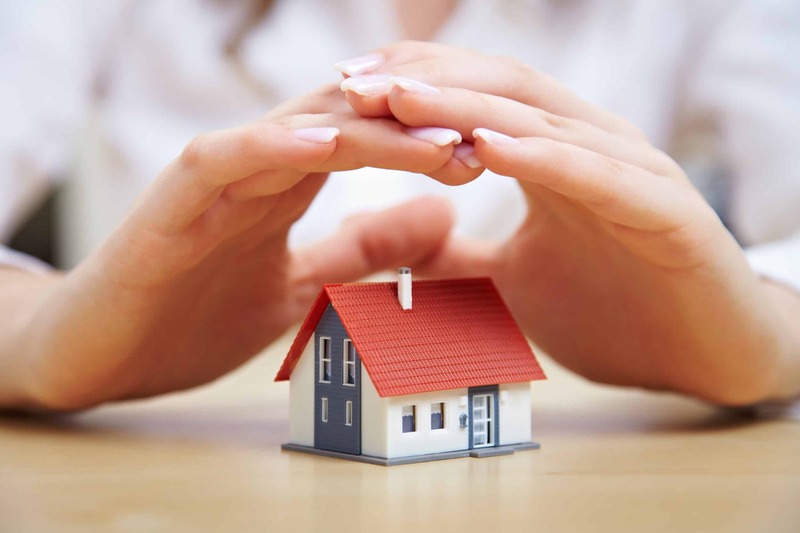 Indemnity insurance is used in conveyancing transactions to offer sellers protection if there is a defect with their property that could result in legal action. Sellers take out a policy to cover the cost implications of the buyer making a claim against their property. The insurance requires a one-off payment and lasts forever. Buyers can also take out indemnity insurance as an alternative to rectifying a property defect. Rather than asking the seller to fix the problem, buyers can take out a policy if they are otherwise satisfied with the property and want to make sure their mortgage application goes through smoothly. The policy would cover the buyer and mortgage lender in the event of any loss of value on the property as a result of the defect. The issues covered by the policy typically have a very low risk of diminishing a property’s value, but if they did cause a loss, it would be significant. What does indemnity insurance cover? Planning permission: This policy covers instances where building work has been carried out, by you or a previous owner, but there’s no evidence that planning permission was obtained or complied with. Building regulations: If work has been done on the property but the building regulations paperwork is missing or incomplete, this policy covers the cost of any works that may be required to alter, correct or remove the unregulated work. Restrictive covenant: This policy is required when the title of the property contains a restrictive covenant, such as restrictions on building an extension, which has been breached. It covers the cost of any legal expenses and loss in the property value incurred in defending an attempt to enforce the covenant. Chancel repair liability: This policy protects homeowners who live within the boundaries of a parochial church council against having to pay towards repairing the church. Absence of easement: This policy covers access rights. If, for example, your drains can only be accessed from your neighbours’ gardens, such cover protects you against legal costs if the neighbour tries to prevent you from having access. Missing particulars: This policy is taken out when the deeds or documents to a single residential property are mentioned in the Land Registry entries but have not been supplied and may contain unknown or unclarified matters. Absence of build over agreement: This policy is specifically designed for the situation where a property or part of a property has been erected over or within three metres of a sewer without a build-over agreement from the appropriate water authority. Adverse possession: Adverse possession means that the owner of the property has only possessory title, as they have claimed ownership of some land but do not have the necessary evidence to satisfy the Land Registry that they are the legal owners. Insurance will cover the buyer against any financial loss they may suffer if someone attempts to claim the land from them. The risks covered by indemnity insurance tend to be small, otherwise you would not be able to take out a policy against them. Although the seller is responsible for arranging the insurance and taking on the cost, if they refuse, the buyer has no choice but to pay for the premium as their mortgage lender requires it to cover any potential loss. How much do policies cost? The premiums for indemnity insurance policies are not excessively expensive and are calculated on a sliding scale, depending on the value of the property, not on the level of risk. The cost will range from as little as £20 to as much as £500, or even more for a non-standard policy. Insurance for a lack of planning permission and building regulations will likely cost between £200 and £500, while insurance against chancel repairs liability costs between £50 and £200. It’s unlikely that you will be able to negotiate the price or search for a better offer, as indemnity insurance is only offered via specialist providers. In addition, some solicitors will charge a fee for arranging the cover. However, unlike most insurance policies that have an annual premium, indemnity insurance is a one-off payment that will cover future owners of the property as well. As a result, most sellers would rather pay the premium rather than see an expensive sale fall through. Do I need indemnity insurance? Indemnity policies, although rarely required to pay out, are a relatively cheap way to protect a buyer or seller from any future liability, as well as reducing any delay to the sale that could be caused by trying to locate missing paperwork or resolve any concerns. If you’re selling a property, you may find that the buyer’s solicitors and mortgage lender insist on an indemnity policy being secured before the sale can go ahead. If you decide you need insurance, your conveyancing solicitor will be able to help you find a specialist provider. Policies are arranged either online or via the post, depending on the insurer. It will be up to you and the other party in the property transaction to decide who pays for the policy. Buyers sometimes pay as they’re the ones who will benefit from the policy, but the sellers can also pay as it’s their lack of paperwork, building permission or policy that is hindering the sale. All indemnity policies contain a clause that the insurance will be invalidated if the existence of the problem is revealed to third parties. For instance, if you took out a policy for an extension having been built without planning permission and then sought to obtain retrospective planning permission, you would invalidate the insurance, even if planning permission was denied. It’s important to discuss your future plans for the property with your conveyancer to figure out if indemnity insurance is right for you. Figuring out whether or not you need indemnity insurance and which policy is right for you can be overwhelming, and we recommend seeking legal advice if you feel you need to. If you’re looking to sell your property quickly, contact our experienced surveying professionals at Good Move, who will be happy to help.